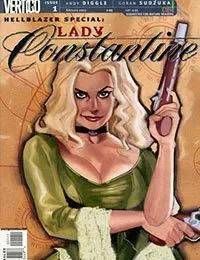 The year is 1785, and Johanna Constantine ancestor of John Constantine finds herself embroiled in a desperate battle to locate the worlds most coveted and deadly mystical prize. An infernal Box which, if opened, could reveal the secrets of the Universe, or unleash all the savage powers of Hell...or both. After being hired by British Secret Intelligence to hunt down the box, Johanna must enlist the aid of allies both human and otherwise if she is to seize the prize from an ancient and unstoppable foe as the very fate of the world hangs in the balance.